Open Fri & Sat, 7pm to late. 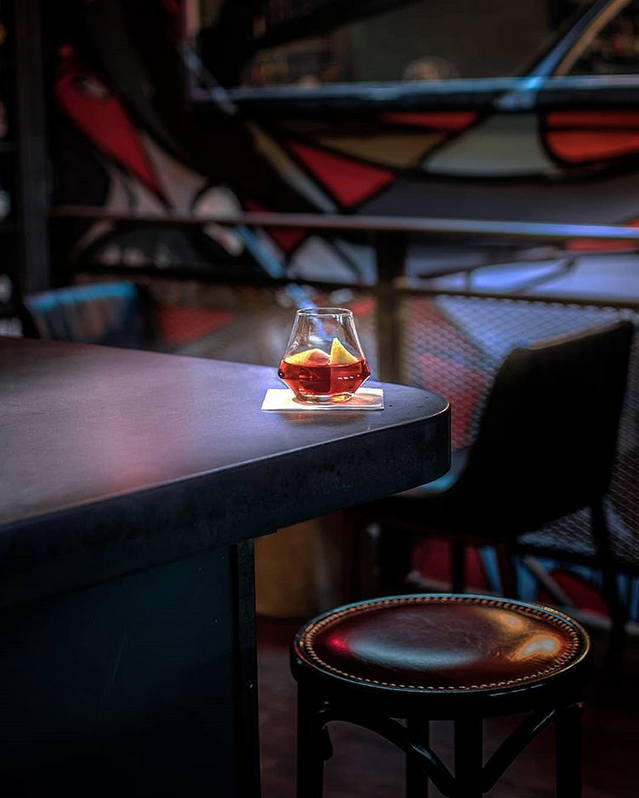 Follow the graffiti up the stairs toward the sound of chill hip hop, or maybe some classic swing until your among the liquor cages of the Studio Bar. 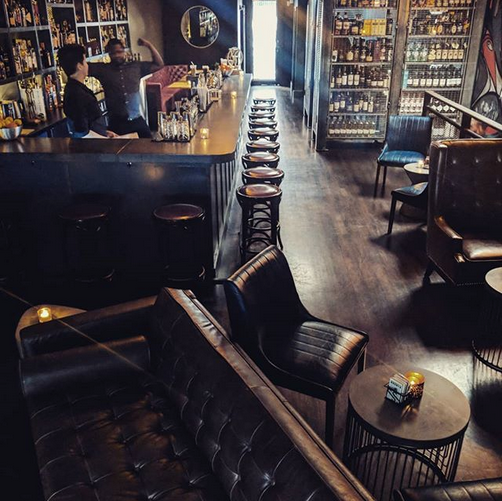 Our cocktail lounge is a cozy and intimate space lit by candle, fireplace, and projector. The Studio Bar is located upstairs from The Astorian and can be accessed by asking the host to be seated. Please have your entire party present. We do not sit parties larger than 5 during prime time. The Studio Bar takes the classic Manhattan speakeasy setting, (the warmth of a fireplace, the dim glow of candles, cozy leather couches and brick) and brings it home by splashing the walls with local graffiti art, beaming cult-classics on our projector, and serving up cocktails in a cool and non-pretentious setting. 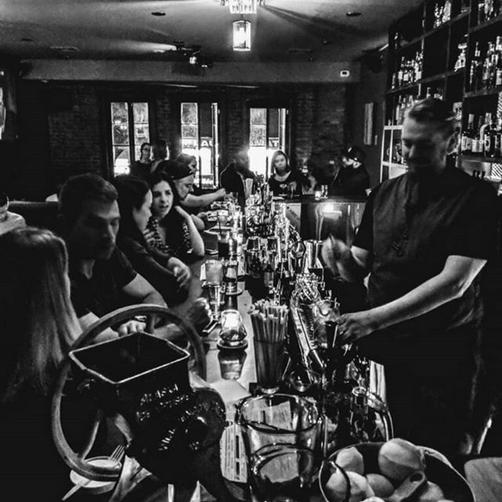 Our cocktail list varies from stiff and spirit-forward to fun and modern. Our spirits list is vast and carefully curated to have some of the best representations of each style. And of course, we offer the same amazing menu of diverse comfort foods as The Astorian.